Aerocon Systems, a Division of Fortune Plus Inc.
We began as a resource for the amateur rocket community and have expanded into international aerospace, commercial diving, compressed natural gas control systems, paint ball components, watchmaking and dental supplies. It sounds eclectic but we're able to link those disparate industries with our products-in-common. We count every major aerospace company in the USA as a client and service many more around the world. Though our dealings with companies like Boeing, Lockheed Martin, ATK, Airbus, and more is fantastic we find our contact with ground breaking companies like Masten Space, XCor, SpaceX and the like rewarding and fascinating. Our products are used by almost every airline flying today. 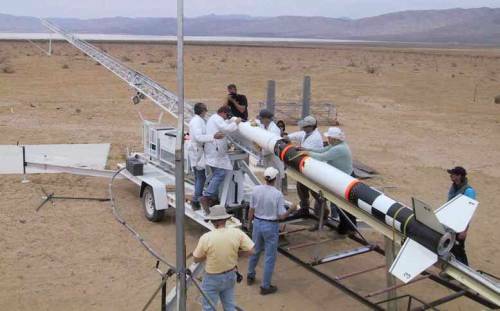 Because of our background in the physical sciences we're able to supply every well known aerospace engineering university in the US with products for their rocketry and anciallary projects. Establishments such as Embry-Riddle, Stanford, CIT, Georgia Tech, MIT, and many others. We've dealt with some of the larger technical universities in the world as well, helping the professors and students obtain the materials necessary to complete their projects. Aside from their typical uses, our parachutes are used by all types of clients from heli-loggers wishing to stabilize their load in flight to deep sea fishermen who need to keep their craft stable in a storm. Everyday I'm surprised by the creative and inventive uses people find for our products! Aerocon was started in 1994 by Bill Colburn, a seasoned veteran of the aerospace world. Bill is an expert in solid, liquid, and hybrid rocket science. His experience in initiators, test protocols, aerodynamics, and airframe technology is unsurpassed in the community. As a result of his interest in rocket crafting he developed this business to supply rocketeers around the world with the parts necessary to pursue their avocation. Late in 1999 Bill decided to sell Aerocon and develop a start-up aerospace company called American Space and Propulsion. My name is Bob Fortune and having worked with Bill on his programs my interest and experience in experimental and amateur rocketry grew. I knew that running Aerocon would be an interesting endeavor and decided to purchase the company early 2000. Things literally took off at that point! In 2005 we purchased the Frank Hillson Lubricants business, an endeavor which packages grease in innovative containers for a variety of industries. Our company has continued to grow over the years in enthusiastic but sustainable increments. We've gone from a simple Xeroxed catalog of 10 pages to a full service website with shopping, interactive tools, video, and a wealth of resources. I can't tell you how many times I've heard people remark on the time they've spent exploring our website, it's rich in detailed information and experience. To see how we've grown check out the Whats' New page.